The Sanyo MM-5600 was announced by Sprint today at the Photo Marketing Association convention in Orlando, FL. 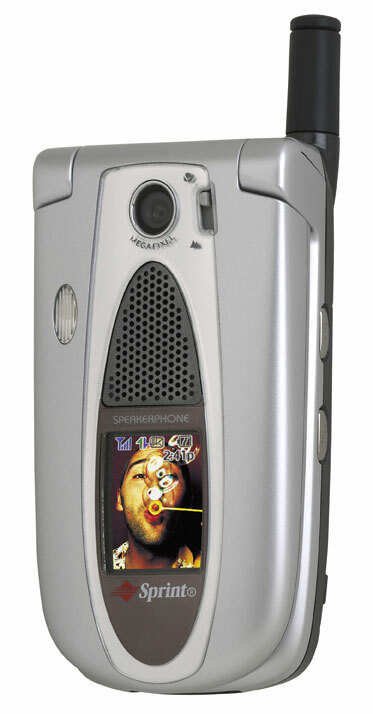 The MM-5600 has been highly anticipated by Sprint customers for some time, mostly because it has a megapixel camera. It was approved by the FCC last month which set off more anticipation. Features of the Sanyo 5600 include: * 1.3 megapixel camera * 240 x 320 pixel 260K color screen * miniSD memory card slot (comes with 16MB card) * USB for photo printing and music transfer * Sprint PCS Ready Link * Stereo earphones and MP3/AAC playback Starting in mid-March, the Sanyo MM-5600 will be available from sprint for $279.99 after rebate. Two photos of the Sanyo MM-5600 are available below.